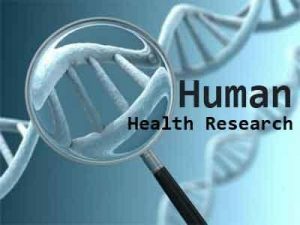 Hyderabad: Research on human health was the need of the hour, Dr Rakesh Kumar Mishra, Director of the city-based Centre for Cellular and Molecular Biology (CCMB) opined. The CSIR-CCMB launched a Medical Student Research Training Programme (MedSRT), the first of its kind in the country, at its campus. Dr Mishra who inaugurated the programme said, this training helped in providing solutions to the health problems and hands- on training to the young medical students. It was designed to address the gap on the current medical curriculum and to ensure that aspiring clinicians appraised of the latest basic research methodologies and how they can be applied in clinical problems. Dr Mishra said that the programme included lectures and hands-on training on 5 research areas: Bioinformatics, DNA and RNA based Techniques, Cell biology, Proteins and Immunological Techniques. The state of the art infrastructure and expertise of CCMB for conducting research in modern biology further enhanced quality of this programme, he added. He said that MedSRT was not only a key addition to the academic and skill development activities of CCMB, but was one of the first of its kind in the country. CCMB expects that this exposure to cutting edge research questions, techniques and hypothesis-testing will excite medical students to opt for a clinical research career, so that clinically derived scientific problems can be addressed, and become a major impetus for the translation of basic science towards unmet medical needs. Dr Rakesh Kumar has released Training Modules on the occasion. Dr Sravan Kumar, Vice Principal, Gandhi Medical College said that 21 medical students were participating in this skill development programme. Dr. Arasu, Principal, Siddipet Medical College said that it was a golden opportunity for medical students to learn the Medical Research methodology. This also helps in Cancer research. According to a CCMB release, the Lab has launched this training programme for undergraduate medical students. The MedSRT programme will last for one month ( May 8 to June 8) and offers a series of lectures and hands-on training on various research methodologies by experts that include the faculty, staff and senior PhD students of CCMB. The purpose of MedSRT is to enhance both academic and technical skills of medical students in modern biology and clinical research. It is specially designed in consultation with the Directorate of Medical Education (DME), Telangana and internationally acclaimed Clinical Research Groups of CCMB.